This bundle includes both the New International Dictionary of Old Testament Theology and Exegesis (NIDOTTE) and the The New International Dictionary of New Testament Theology and Exegesis (NIDNTTE). 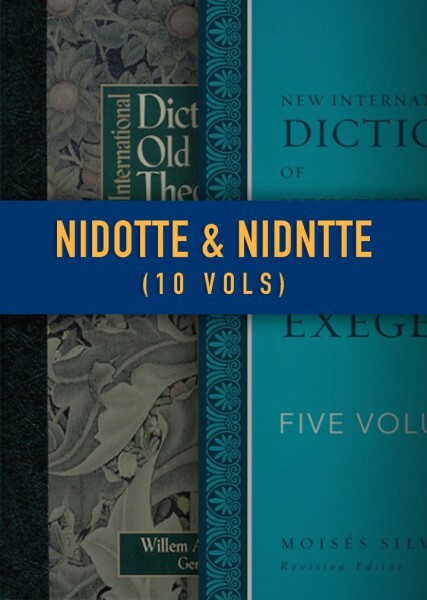 Taken as a whole, NIDOTTE is an unparalleled accomplishment in the field of biblical hermeneutics, made even more convenient to use in this digital edition by the addition of features such as scripture hyperlinks, and the ability to find entries using the Olive Tree Bible App's unique "lookup" function. Updated and added consistency to include—for every entry—all necessary background information from classical Greek, the LXX, and Jewish literature. A helpful semantic domain index now directs the reader to all of the Greek words that have something to do with a particular English word. For example, under the English word “Anger, Wrath,” there is a list of thirteen Greek words that are related to that topic.